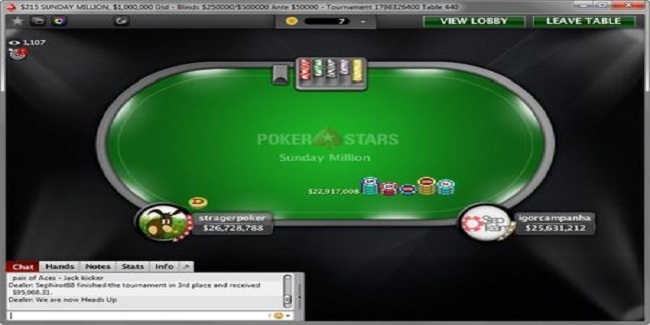 A Russian online poker player named stragerpoker wins 1/29/17 Sunday Million event for over $86,733. A five handed deal took place among top five remaining players which yielded $20,000 for the winner of the game. The runner-up of the game was a Brazilian igorcampanha who pocketed an amount of $80,745 from the title. 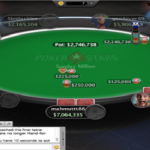 The event of $215 buy-in No Limit Hold’em attracted 5,236 players and generated $1,047,200 as total prize pool. Top 728 finishers of the event pocketed some amount of money. 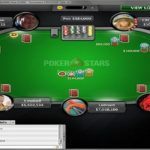 The final table of this particular Sunday Million was set after eleven and half hours of play and another two hours of play took place to make this final table to shrink to three players. Romania’s mionir busted to ninth place. 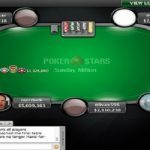 He was the first player who hit the rail and pocketed $8,762 from the poker championship, while eighth place was for a German Poker professional named smir9david who pocketed $12,486 from the title of this Sunday Million. Seventh and sixth positions of Sunday million go to players from unitwed kingdom and Greece and they were induceM3 and marakana1985 and they pocketed $17,792 and $25,353 from their respective positions.